Pioneers in the industry, we offer vegetable cultivation net and agro vegetable cultivation net from India. Mesh Size 75, 100, 125, 150 and 200 mm square. 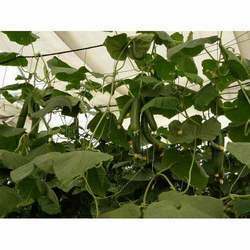 We hold expertise in offering the wide gamut of Vegetable Cultivation Net in the industry. The offered nets are widely used in many vegetable growing fields. These products are made available in multiple sizes to fulfill the varied needs of the customers. Premium grade material is obtained from established vendors for manufacturing these products. Apart from this, offered nets are reasonably priced. Gets more yield in less space. Enables uniform growth of crop due to wide spread sunlight. Our clients can avail from us an extensive range of highly durable Agro Vegetable Cultivation Net. These protect the plantation from direct sunlight and damages from wind & storm. By maintaining a controlled temperature it reduces the possibility of withering. Our clients have appreciated our range for features like tear resistant and long life. 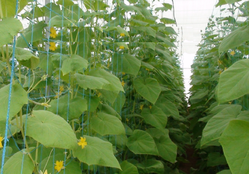 Looking for Vegetable Cultivation Nets ?